, is a state certified plumbing contractor since 1986, specializing in natural and propane gas piping systems, gas appliance installation and repair. We at take pride in producing a top quality job with top of the line products and equipment, at an affordable price. 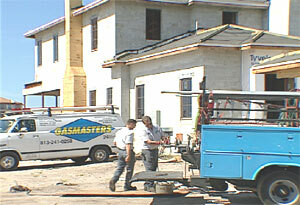 Our technicians are trained qualified professionals who maintain the highest possible safety standards. Servicing our customers is a privilege we take seriously. is a drug-free work place, with random testing IAW DOT Directives. All personnel are required to attend weekly safety meetings to maintain our perfect safety record. is a member of the BBB of Central Florida.